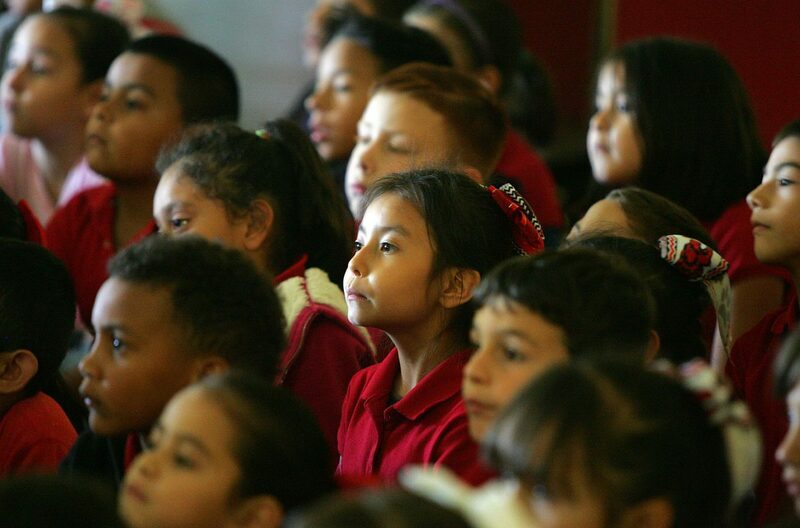 Children listen during a performance as part of H-E-B's "Be A Buddy, Not a Bully" youth campaign as part of National Bullying Prevention Month at E.B. Reyna Elementary on Oct. 17, 2017 in Palmview. 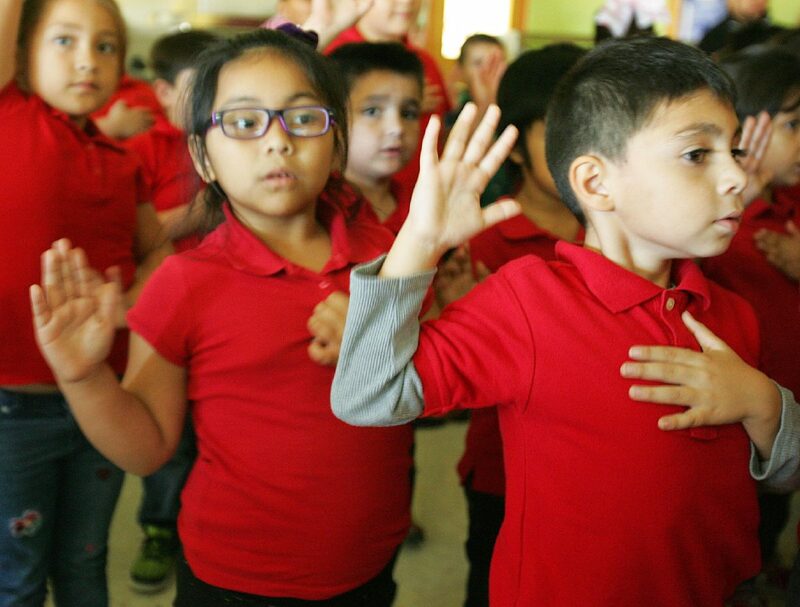 LA JOYA — Young students from kindergarten to second-grade at Reyna Elementary School received a lesson Tuesday about the negative effects of bullying. 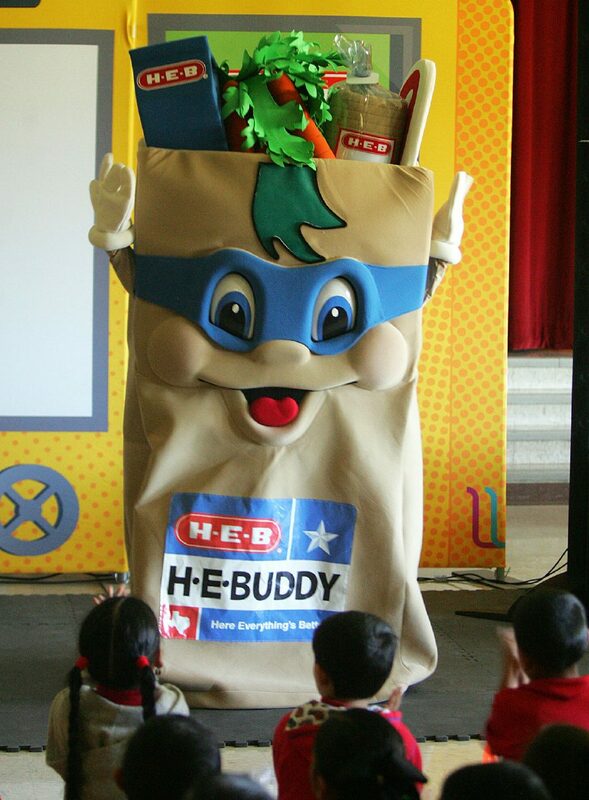 As part of National Bullying Prevention Month this month, H-E-B Grocery Stores is promoting its H-E-B Buddy League program which teaches children through a bilingual performance about the stigma of bullying and how the experience can affect a person. In addition to the performance, the grocery chain adds a lesson plan for Texas teachers to use in their classrooms. E.B. Reyna Elementary was one of the 10 stops throughout the Texas border region to host the H-E-B Buddy League. The program urges students to “Be a Buddy, Not a Bully,” meaning to promote kindness and respect over negative behaviors, such as teasing, exclusion and bullying. 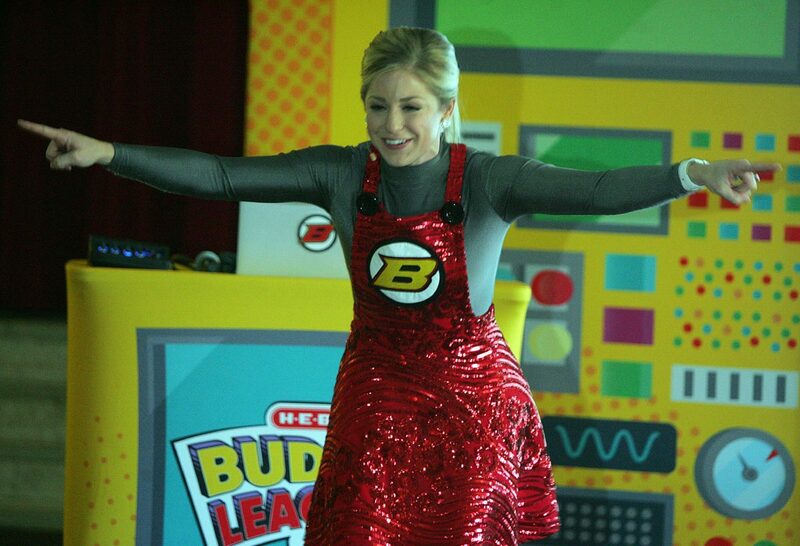 Yvonne Loflin, public affairs specialist for H-E-B’s border region, said the live performance is a training academy and demonstrates how to stand up to bullying and how students can promote unity. H-E-Buddy surprises children during the H-E-B's " Be A Buddy, Not a Bully" youth campaign as part of National Bullying Prevention Month at E.B. Reyna Elementary School on Oct. 17, 2017, in Palmview. 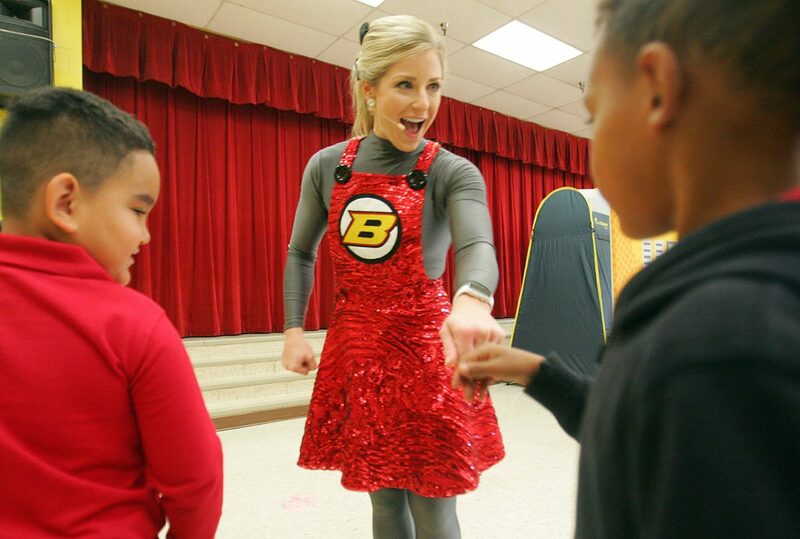 Julie Frost fist-bumps children after a performance as part of the H-E-B's " Be A Buddy, Not a Bully" youth campaign as part of National Bullying Prevention Month at E.B. Reyna Elementary on Oct. 17, 2017 in Palmview. Julie Frost performs as part of the H-E-B's "Be A Buddy, Not a Bully" youth campaign as part of National Bullying Prevention Month at E.B. Reyna Elementary on Oct. 17, 2017, in Palmview. Children pledge as part of H-E-B's "Be A Buddy, Not a Bully" youth campaign as part of National Bullying Prevention Month at E.B. Reyna Elementary October 17, 2017 in Palmview. Children participate in a performance as part of H-E-B's " Be A Buddy, Not a Bully" youth campaign as part of National Bullying Prevention Month at E.B. Reyna Elementary October 17, 2017 in Palmview. Besides the La Joya school district campus, H-E-B Buddy League also made a stop at Sorensen Elementary in San Juan on Monday. The Buddy League Training Academy performance consisted of the students receiving a buddy league star after going through the hourlong training that featured five concepts entailing being Respectful by paying attention, be Knowledgeable to see if something occurs, be Trustworthy by telling a grown-up or someone with leadership, have Bravery by standing up to the bully, and have Unity to express togetherness and not being alone. Rachel Ramos, counselor at E.B. Elementary School, praised the grocery company for giving back to the community and making a stop at the school because it reinforced their ongoing anti-bullying message. “It was a learning experience and coming from another person besides teachers and parents, it actually helps with the community working together,” Ramos said about the performance. Within the elementary school, teachers plan a lesson about how bullying is not tolerated on campus and teach the students about caring for others. The curriculum teaches children the need to be good citizens by taking others into consideration and sharing, the educator said. Christina Alvarez, a kindergarten teacher at E.B. Reyna, said the performance was relatable to their classroom teaching. Bullying can cause negative physical, social and mental health issues. Children who are bullied more often experience depression, anxiety, and feelings of sadness and loneliness as well as experience lower academic achievement and school participation, research studies have found.